The cool air envelopes me as I step outside at six in the morning. It is dark and I begin my run to work. The distanced street lights on Hastings give off just enough light so I could see where I am going. The headlights of the occasional oncoming car briefly kill what little vision I have. Normally I run to work on Wednesdays. Here's where the day can make a difference for me. Thursday is trash day in my area. Although I'm blinded by some oncoming headlights I am fortunate enough to notice a dark shape about two steps in front of me. I quickly sidestep a 50-gallon trash container and the oncoming car passes by. "Check it out. On my way to work I saw this guy running down the sidewalk and he ran right into a trash can. He didn't even slow down and BAM! It was crazy." No, that story was not being told today. I am careful to dodge the rest of the trash containers waiting to be relieved of their contents. Making my way to Highway 395, I wait for the crossing signal and then head south on brand new sidewalks lining the roadway towards town. 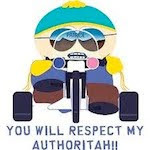 I scamper up the hill and approach the North Division Bike Shop. The drive-up coffee shop sharing the parking lot is busy and I avoid a car whose driver is leaving with her fresh cup of wake up juice. I briefly wonder if an Italian number specified the size or if she just ordered a large. A sign outside the bike shop says summer clothing is on sale, a reminder of the changing season. I press on and turn west on Hawthorne towards Whitworth University. South again on Whitworth Drive and I'm starting to rid myself of the morning chill. I checked the weather online earlier and the temperature was listed as 52 degrees. It must be true if it's on the Internet. I often forget the temp is lower north of town. This morning I'm wearing just a shirt, shorts and a pair of Vibrams. A small backpack holds a water bottle and my personal effects. Whitworth Drive connects to Wall, a road I stay on for the next 3-1/2 miles. The 124 North Express buses pass by frequently. The northbound ones are empty, aiming to collect the commuters waiting at the Park and Ride I was close to about twenty minutes earlier. The southbound passengers share the same general destination as I. They just get there sooner. They don't get to stop for a venti along the way but I'm sure they have options before and after the ride. I take the bus home on days I run in. I get to listen to music on my second-generation iPod, a hand-me-up from my oldest son that still works perfectly. The houses and trees block my view but the glowing sky to my left tells me the sun, growing more lazy since autumn's arrival, is peeking over the horizon. The street lights begin to turn off as I reach Country Homes Blvd. I say "Good morning" to two Basset hounds, their baying informing their neighbors of my presence, and climb the short hill past Cascade Way. I finally arrive at Francis, roughly the halfway point. I've only been running for 45 minutes and I feel like I could go on forever. I enjoy running without known distance markers. When I have a route with clear checkpoints, I tend to focus on the time it takes to get from one to the other. I feel under pressure to finish in a certain time. It takes away all the joy. Like I said, the joy is gone when I do that. I experienced that many times before it finally sunk in. The dawn is bright enough and I remove my Vibrams while waiting for the light to change at Francis. I'll do the rest barefoot. The sidewalks along Wall are pretty rough. Weather worn, pockmarked by rock salt sown to melt the snow, cracked and bumped by tree roots, they challenge me. I focus on relaxing. When traffic permits I run in the roadway where the surface is level and predictable. 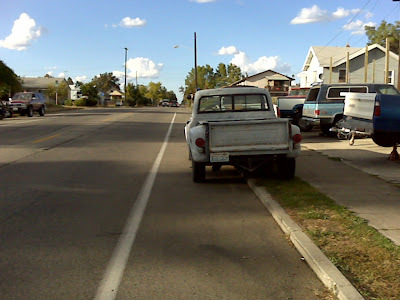 I bounce back and forth between sidewalk and asphalt as oncoming cars approach and pass by. A cyclist zips by, takes a good look back at me, and then fades away in the distance. I jink over one block to Post Street and stop at Garland. It's been an hour now. I fish the water bottle out of my pack and have a drink. Perspiration marks where the pack and its straps come into contact with me, but the dry-fit shirt makes short work of the moisture buildup. A minute later I put the pack on and resume my pace. I get to breath easy going down the Post Street hill. A young man walking a dog stops to gawk at me. He doesn't acknowledge my "Good morning" and just stares at me. Just before reaching Buckeye I move over one more block to Lincoln. It's nice and quiet with very little traffic. I run unimpeded on the road and easily get across Indiana and Mission. I spot a man I see nearly every morning when I ride my bike to work and tell him "Good morning" as I usually do. Odd, he ignores me this time. Not my problem. I arrive at Boone and wait for the light to release me for the second-to-last downhill to the new Y. After crossing Mallon, I pass by a building when a van suddenly comes out of the alley. He slams on the brakes and I latch onto a traffic sign pole to help me stop. With the danger averted I give the guy a wave and start running again down to the Post Street Bridge. I get to the smooth sidewalks along Avista and City Hall and they feel cool and soothing to my soles. Around the corner of City Hall, two more blocks and I'm at work. I didn't even think to check the time. Calm. Refreshed. Invigorated. A great way to start the day. A 96-year old cyclist. Well, at least one of the things I want to be. Saw this over on The Mudflats. The city council extended the time period for authorizing the use of photo red cameras for another three years. See the Spokesman Review article for details. Other than data showing a slight increase in accidents last January, the city and police department have not provided any numbers showing the effect on safety which is the stated purpose of the program. Nor is photo red being compared with other measures that could be used to improve safety such as lengthening the time for yellow lights or overlapping red lights for all directions--at least not to the public's knowledge. So far this year, the city has generated more than $600,000 from camera tickets. After expenses were subtracted, the city has made more than $270,000 in profit. Worried that the cameras would be criticized as a cash cow, the City Council mandated that camera profits be spent only on traffic safety measures. 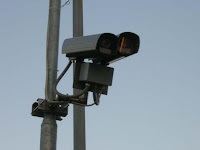 Street officials are working with neighborhood councils to select the first $350,000 worth of projects paid for through cameras. While designating camera profits for traffic safety measures is laudable, regardless what the money is used for this is still a cash cow. But City Council President Joe Shogan said he believes the program likely is making a difference. “How bad would it have been if we had 14,000 red light runners with impunity not obeying the law?” he said. The lack of evidence apparently has no effect on believers like Joe Shogan. What Mr Shogan doesn't get is that those drivers are still disobeying the law with impunity. They're just paying a fee for doing so. And that is what is making a difference. I listen to a lot of different music, especially the music my kids listen to. It gives us something to share and sometimes talk about. I don't have the best hearing in the world and I'm unable to keep up with the rapid fire delivery of rap, but there's a rap song I enjoyed when I first heard it. However the more I listened to it the more I was questioning what it was about. I am referring to Eminem's I Love The Way You Lie. Last night I was listening to it and following along with the lyrics when Steph came downstairs. "Since when do you listen to rap?" she asked. It's like she's forgotten the many times we've been in the car together and she's in control of the radio. "I'm just checking out the lyrics," I tell her. "Because nearly every song has a message and I'm curious about this song." "Well, don't ruin rap for me." Ruin rap? Who is she kidding? After a careful review of the lyrics, here's my take on the song. There's this couple who have a relationship. She is somewhat abusive and actually doesn't mind being on the receiving end of the abuse, but she does draw the line...ohhhh...somewhere. He is an off-the-chart anger management candidate who is abusive, jealous, controlling and profusely apologetic after wards. He explains it's only because he loves her so much. And if she ever leaves him again he's going to kill her. So...yeah...but...uh...outside of all that...you know...it's a great song. It turns out that the news report about the United Nations appointing the first ambassador tasked with greeting aliens from space was false. "Tomorrow morning you wake up to find a visitor from another planet on your doorstep. What do you say to it?" I took a decidedly different tack. For two months I've had a pair of Vibram Five Fingers on back order. So after saying good-bye to Josh at UW last Thursday, I thought I'd stop by REI in Seattle and see what they had in stock. Maybe I'd get lucky. I asked one of the folks in the footwear department and the answer was music to my ears. "We just got a shipment in this morning." Yessssssssss (with a fist pump). After doing the Goldilocks thing I found a pair of Bikilas that fit me just right. The Bikila model is made specifically for running. Thursday night I wore them around the house for an hour. Putting them on is a trip because getting your toes to line up is more difficult than your fingers going into a glove. The seams and accompanying extra material spread your toes apart a little. I had a little discomfort from that first hour of wear but none after. For the last three days I've been wearing them around the house to get the feel of them. ...in every activity in the home. Today I took them for their first run, four miles on pavement. I purposely stepped on rocks to see how protective the sole is and I am very happy with the results. The overall feel of the shoe(?) is very close to being barefoot, more so than the aqua sox I've been using. Now to see how well they hold up. I'll run them to work this week. Their first off-road test will be the Sekani 10k Trail run on Oct 16. Uh, oh. This morning Kathy pointed out that since Geoff was born our house has been dominated by the guys but things are now different. With both boys out of the house, I am now outnumbered by Kathy and Steph. So if any of you guys have experience with this, I'd appreciate any strategies you have to share. Preferably strategies that work. I am outnumbered by ovaries. When I bring the Sunday paper in, I separate the newspaper sections from the ads giving me a small pile to read and a large pile immediately bound for the recycle bin. I save the Parade magazine for last, but not in a save-the-best-for-last kind of way. No, it's more of an it's-all-that-is-left thing that sometimes merits reading. Well there wasn't much of anything in today's edition, but the cover article about "the incredibly shrinking Drew Carey!" and "the secrets behind [his] astonishing 77-lb weight loss" caught my eye. In short, after many years of unhealthy living he set a goal last November to go from 262 to 170 pounds. The article goes on about his struggles and progress. By the way, there were no secrets to his weight loss. It's the same drivel about eating right and exercise. But in today's world what good is that without a fancy machine, some magic pills and the latest media-hyped diet, right? It's great that he recognized what he needed to do and stuck with it. I'm happy for him. But this is the part that irks me. While he acknowledges that he is wealthy enough to hire an array of specialists, he believes that anyone can find an affordable nutritionist and gym and join a local or online group like Weight Watchers. “You just have to be willing to reach out,” he declares. And there is the gaping abyss between our world and his. Now had Drew Carey had been willing reach out to a local or online Weight Watcher's chapter and an affordable nutritionist and gym and got the same results as he did with the resources he could easily afford, then he could be paraded in front of average America as an example for them to follow. I almost forgot about this shot of a display on a gas pump that Josh sent me last week. This evening, our good friends Denis and Vina Mikkelson marked their 60th wedding anniversary. Family and friends gathered to celebrate their lifetime together. It was a great evening for them. Steph and I showed up for clean up duty this morning. We were assigned to the Black Bear group led by Paul Dillon and Steve Salvatori. Everyone received a high-viz green pack containing bags for trash and recycle. After our safety briefing and some encouraging words from Councilman Jon Snyder the crews headed out to their respective areas. Along with the multitude of beer cans and plastic bottles, our area also included an abandoned camp that required a lot of bags to haul everything off. The strangest item I found was a hand written note advertising a certain "service" and specifying the vehicle said service was available, but only if the person seeking the service was endowed enough. Weird. Steph puzzled over this fire hydrant. Why is it out here in the middle of nothing? We didn't stick around for the contests, but I thought the keg was very characteristic of Spokane. There was another table for Best Outfit. A woman came up and started pulling some clothes out, but she began retching so bad that she gave up and took the stuff to the trash. Truth be told, I made Steph go with me. She did a good job and actually had a good time. Well, except for the snake on the asphalt path as we rode up from the Sandifur Bridge to the West Central neighborhood. Me: "Cool, there's a snake." Steph: "OMIGAWD! It's a snake!" I finally had some time to print and read the Republicans Pledge to America. After listening to America via America Speaking Out, House Republicans bring out a new agenda that's a rehash of what they've been saying all this year as well as for the past 15 or so years. I wouldn't expect them to admit to the part they played in the job killing (deregulated markets), the out-of-control spending (two wars funded off the books), the size of government (defense and homeland security), and health care reform (NOOOOOOOOOOOO!!!!!!!). Somehow that's all the Democrat's fault--they do share the blame--and Republicans can make it all better by continuing to do what they did before that got us into this mess in the first place. Truly original. So what does America have going for it right now? Well, we have one party that looks out for big business and works like the devil to prevent any progressive legislation that would benefit the working (and unemployed) people in the name of liberty and freedom for said people. We have another party whose tepid attempts at any real legislation for the people is a mockery. Next we have an collection of birthers, tenthers, jingoists and populists with an aggregate IQ solidly in the feeble-mindedness category and yet they can manage serious election challenges. And to top it off we have a Democratic president who kept Guantanamo open, hasn't repealed Don't Ask Don't Tell, abuses the state secrets privilege to deny justice to people we kidnapped and tortured, increased the use of drone attacks causing more deaths of innocents, and taken the unprecedented step of authorizing the targeting and assassination of an American citizen. After the November elections, I don't see any change for the better regardless who wins. Back in August I wrote about a newly paved intersection that was developing corrugation. It was repaved yesterday morning. Never underestimate the power of a blogger with tens--you read that right, TENS!--of readers. MWAHAHAHAHAHAAAA! Okay...back to the real world now. This was my first day to try it out. I found it more harrowing than riding in a regular traffic lane. With short term metered parking there's a faster turnover of cars. Plus, as you can see up ahead in the photo, you have loading zones. I waited behind this car for a few seconds before the driver finally gave up and drove off. 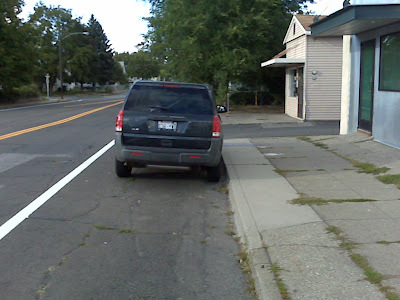 When you think about it, waiting for a car that's having trouble getting into a parking spot or waiting for a car that's waiting to get into a parking slot occupied by a car that's about to get out is the same whether they're blocking the bike lane or the vehicle lane. We all have to share the road. Be cautious and patient. *** Update I put the wrong street name in the blog title. It's corrected now. The Apple Store is opening tomorrow morning and people have started setting up camp to be the first in line. The first 1,000 customers receive a free T-shirt. Woot! KXLY was on the scene covering the Big News. No doubt there will be Breaking News on the television as well. Combined with Reporting Live On The Scene, Spokane's Apple Store opening should be fully covered. Film at 11:00. And online. For the last month all of Josh's friends have been going off to school. The University of Washington must start the latest of all schools. Today was move-in day--classes still don't start until next week--so this morning Josh and I drove over to Seattle to drop him off. Hugs from Steph and Kathy who was bravely trying to hold back the tears and we were off. Josh could barely contain his excitement during the drive. The school has move-in day down to a science. Josh was moved in in no time at all. This is the expanse of Josh's empire. A room that's maybe twenty by ten feet with three desks and three beds. Perfect for three guys to work on mutual respect, consideration and hygiene. One of Josh's roommates was already there. He's a young man from China who goes by the name Steed. After eighteen years of treating scraped knees, helping with homework, cheering at sports events, teaching how to cook and do laundry, etc., you still wonder if you've done everything possible to make sure your child is ready to make their own way. I left Josh in his room and started the drive back home when he called me. Dad, have you left already? I left my wallet in the car. When I read Born To Run last year I learned about chia seeds as an energy food. Since I plan on doing some longer runs I thought I'd order some and try it out. Being the thrifty shopper I went with the five pound bag, not really thinking about how much five pounds really is. I suppose that if I don't like it I can make my own chia keyboard or something. Why gays can be on the police force, teach our children, pull us out of car wrecks, get elected to political office, be moms and dads, etc., and yet there's a problem if they're in the military. What that little girl's parents told her to cause her to ask me "Why are you in the street?" during my commute home. She was riding a bike on the sidewalk. This is on North Addison at the same house that has had a number of violators. During my ride home I met this gentleman. He's visiting Spokane on business and lives in Seattle. He brought his bike along so he could go out for rides. Nice. The vehicle has been reported. 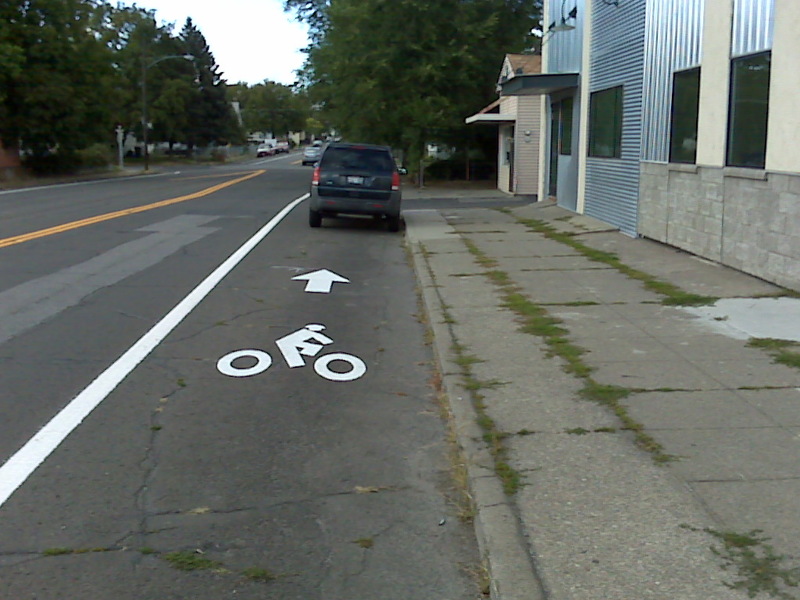 BTW, today I received three replies to three emails I sent reporting bike lane blockers. So I guess something is being done. Not really, but I wonder how many prospective river cleaners are going to bail. The Spokane River Clean-up is from 9:00 am - 3:00 pm on Saturday. The grand opening of the Apple Store on Main is at 10:00 am the same day. From The Hill we have this report of the forthcoming House Republican governing agenda. Pitts explained that he has been involved in conversations with GOP leaders writing the new “governing agenda” set for release in the next week or so. The third-ranking House Republican, Rep. Mike Pence (Ind. ), told an auditorium of Values Voter Summit participants Friday that they should demand no less than that GOP leaders include social issues in the dialogue moving forward. “Men and women, we must demand, here and now, that the leaders of the Republican Party stand for life, traditional marriage and religious liberty without apology,” the House GOP Conference chairman told the hundreds of socially conservative voters in attendance. 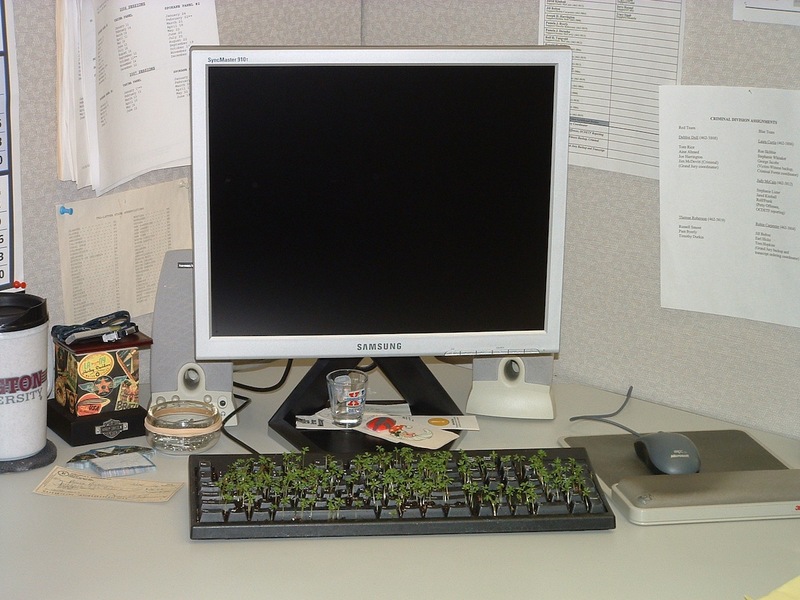 Why is it important to have those hot button issues? Unfortunately, because much of the electorate is uninformed, ill informed, focusing on their lives, or just don't care enough to be informed about issues. A party can demonize, distract, fear monger and speak in generalities to sway voters. It really works. Just look at the Tea Party's primary successes in putting up candidates like Joe Miller and Christine O'Donnell who, once they're examined more closely, manifest a WTF reaction. There's far more to politics than platitudes, but not so much to get elected. I was in Missoula yesterday to watch Steph and her teammates race at the Mountain West Classic. The girls team reminded me of the boys team of yore--too many to shake a stick at. Dori Robertson has over 60 girls running cross country. She brought 42 of them to this meet. Thirty-five freshman and junior varsity girls from Mead ran in the JV race making up over ten percent of the field--seven of the forty-six teams. How awesome to have so many come out for this sport. Steph did great, setting a new PR of 26:07 which is four minutes faster than last week. She's working hard, eating properly before a race, and really enjoying herself. In the winter when I was a kid we used to do something called ski jogging. We'd find a way to grab onto the bumper a slow moving car on a snow covered street and let it pull us a long. I don't know how the practice received the name, but that's what it was. During my time in the Air Force I never met anyone who had heard that term or knew what it meant. For me it was always something uniquely Spokane. Well it just so happens that at some point the City of Spokane made the term official and memorialized and defined it in the municipal code. This is a last call for any volunteers who would like to participate in our tree planting this weekend. We have over 400 trees to plant around the bike path of the Department of Transportation's North Spokane Corridor! Whether you have service hours to complete or you would just like to get out and make a difference in Spokane's native landscape, we are inviting people of all ages to join us. If you would like to bring younger children to this event, please keep them near you for safety. Light snacks, coffee, and water will be provided, but please bring your own water container to refill. Location: At the North Spokane Corridor bike path between Hawthorn and Parksmith. Parking is available on Parksmith, but you will need to walk or ride your bike in to the site (approximately half a mile). Please see our Google map for the exact location. Recommended supplies: Some shovels will be provided, but bringing your own is suggested. Please bring work gloves, a water bottle, and check the weather for appropriate attire. We hope to see you out there tomorrow morning! Over 400 trees? That's a boatload of holes to dig in two hours so they could use a lot of hands. But if there's a place that needs unuglifying, it's the NSC bike path. Bummer, I will be in Missoula tomorrow. 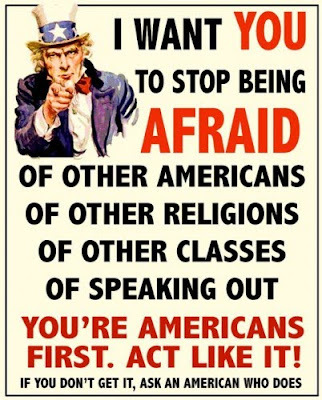 Since the unveiling back in May, Cathy McMorris Rodgers and her fellow Republican House members have been touting the America Speaking Out site as a means for you and I to communicate our ideas to Republican House members. In today's news we have notice that the Republican House members have listened and have formulated their agenda for the November election. But they're not telling us what it is just yet. One of the GOP proposals would require bills to have a specific citation of constitutional authority, on the heels of criticism that Democrats breached their constitutional limits in Congress with big-ticket bills like health care reform. If a member questioned whether the House had constitutional authority to pass a bill, that challenge would receive debate and a vote. The second major initiative would encourage — though not require — members of Congress to read bills before they vote. According to a senior House GOP source, Republicans plan to push for a new rule that would require the House to publish the text of a bill online at least three days before the House votes on it, also giving the public an opportunity to review legislation. The rollout is the culmination of House Republicans’ “America Speaking Out” initiative, an online, grass-roots effort to build ideas from voters across the country. Minority Leader John Boehner of Ohio developed the plan this spring and designated California Rep. Kevin McCarthy as chairman to pull together a governing agenda for the party after four years in the minority. Now one thing the Republicans haven't mentioned publicly are the criteria used to determine which ideas will receive a greater degree of listening over others. So the only thing we have to go by is what they've been tracking for us--the votes. And here are the top voted items in each category. And last of all under Open Mic. I've posted on the items receiving the most votes in each category here, here, here, here and here. I look forward to seeing what the illegal-alien-deporting, defense-busting, pro-choice, citizenship-verifying, more-liberal-and-democratic Republicans have in their election agenda. Unless, of course, they only listened to what they wanted to hear. Being the wizened-elderly-wannabe at times, I offer up advice that sometimes pans out. For example, I always tell people they should have a spare inner tube on hand in case they have a flat. Swapping the tubes out is usually the quickest way to resume your bike ride. Hardly original on my part, but tried-and-true worthwhile advice nonetheless. This morning about four blocks away from work I noticed something about the bike didn't feel right. Coasting along I looked at my tires and saw the rear one was low and quickly fading. I walked the last two blocks. Now I always have a spare tube on hand, but there was a slight problem. I used it last week. I didn't patch the one I took out. So what'd you do during your lunch? Some things take forever to change. 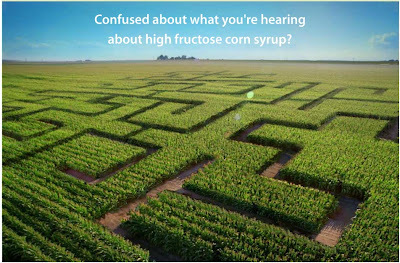 High fructose corn syrup is used in a lot of foods. Whether deserved or not, it also has a bad rap. So agribusiness is doing something about that. They're petitioning the FDA to use "corn sugar" in place of high fructose corn syrup. 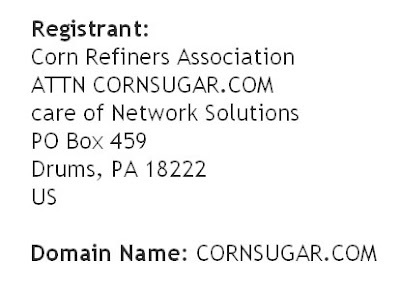 To help educate the masses, they've created a web site called cornsugar.com. They want to clear up all our confusion. Navigate the maze. Get it? Maze. After the main page finishes loading a variety of quotes from presumably reputable people are displayed one after another. 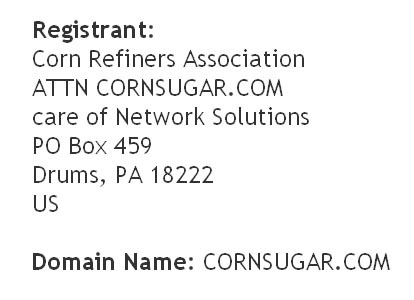 The cornsugar.com domain name is owned by the Corn Refiners Association. Why does corn need to be refined? Along with cornsugar.com there's another site called sweetsurprise.com which also serves to "educate" us about high fructose corn syrup. 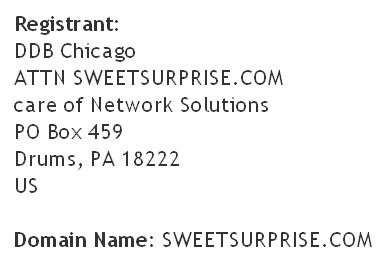 That domain name is owned by DDB, an advertising agency with the highest revenue in the world. I'm sure they make for fine educators, too. Why is all this important? Because corn is one of the most heavily subsidized foods in America. With billions of our tax dollars at stake and the health considerations being raised about high fructose corn syrup it's important for agribusiness to reframe high fructose corn syrup as corn sugar. With corn so heavily subsidized and tariffs applied to imported sugar, "corn sugar" sounds much more natural and remains much cheaper. Other than the agribusiness welfare queens what bothers me about "corn sugar" is that it tastes like crap. Compare a Coke with a Jones Cola made with cane sugar. There's no comparison. Jones Cola tastes so much better. But it also costs so much more. And we pay to have it that way. We're on the cusp of autumn and the dawdling sunrise hints that the end of my bike commuting for this season is at hand. In preparation for the winter and with my ultra running goals for next year in mind I decided to run to work this morning. I threw my aqua sox, a water bottle, my wallet and other personal effects in my Camelback pack. I applied Body Glide to the areas that experience has shown have a high propensity for chafing. (I don't want to relive this again.) For breakfast I ate two chocolate cupcakes whose ingredients include coffee and sour cream. My Aunt Judith brought them over last night when she came to visit. Thank you, Judith. They are delicious. A few swallows of Gatorade to wash them down--not that they needed washing down--and I'm off. Here's the 9.3 mile route. I decided to wear the pack this time to see how it felt on a long run. It was very comfortable and I hardly noticed it. Next time I'll add the water bladder and increase the weight. When I left the house the sky was just beginning to brighten. It was enough that I didn't need my light so that stayed in the pack. I started out a little slow to give myself some time to warm up in the cool morning. A nine-minute-mile pace seems to be ideal for me. I'm very comfortable, I'm not breathing hard and the distance seems to pass quickly, so much so that I arrived at Garland--the 6.5 mile point--in an hour. Right on pace. I stopped for a couple minutes to drink to some water, brush off my blackened soles and since they were beginning to feel a little tender, cover them with the aqua sox for the remainder of the trip. I arrived at work 85 minutes after I left the house. Even without subtracting a couple of minutes for traffic lights and my water stop I'm not only happy with my time but more so with how I felt. Overall, the run felt as close to effortless as I can imagine. No joint or muscle soreness and none of that exhausted feeling I used to have in the old days after a long run--the "old days" being just two years ago. I still had plenty of energy the rest of the day. I just hope the winter cooperates with my plans. Unfortunately, I took the photos with my Blackberry. You can't make out the plates. So no letters for these two. One on the brand new bike land on Howard just past Indiana. And this one is at that most common location on North Addison. Towards the end of my lunchtime walk I found this fellow working on a piece at the STA Plaza. Unfortunately, I had to get back to work and I couldn't stick around to see how the greatest story turned out. I was looking forward to seeing it finished. You don't see street artists in Spokane very often. You have to wonder how much people like House Minority Leader Boehner thinks things through when he says he'd compromise on repealing the tax cuts (see the Spokesman Review article) on Sunday and after other Republican leaders say "no", on Monday he says, "Me neither." And remember, he's the House Republican leader. By the end of the day Monday, Boehner, of Ohio, issued a statement dropping his earlier suggestion and saying he too would fight higher taxes affecting any bracket. President Barack Obama is pushing for a permanent middle class tax cut, but only if Bush-era cuts for top earners are eliminated. Republicans, in turn, want permanent tax relief for all income levels. The divide is rapidly becoming the marquee issue of the midterm election. It's not about working together and doing what's best for the country.